Hello! This week's art appreciation subject is a card I picked up from Rifle Paper Co. For Baileys room! The floral illustrations are so pretty, and the message is ideal. I love the use of gold script for the font. It makes it seem more "fall", whereas using white or silver would've given it more spring vibes. Fall means all things cozy, and we try to achieve that year-round. 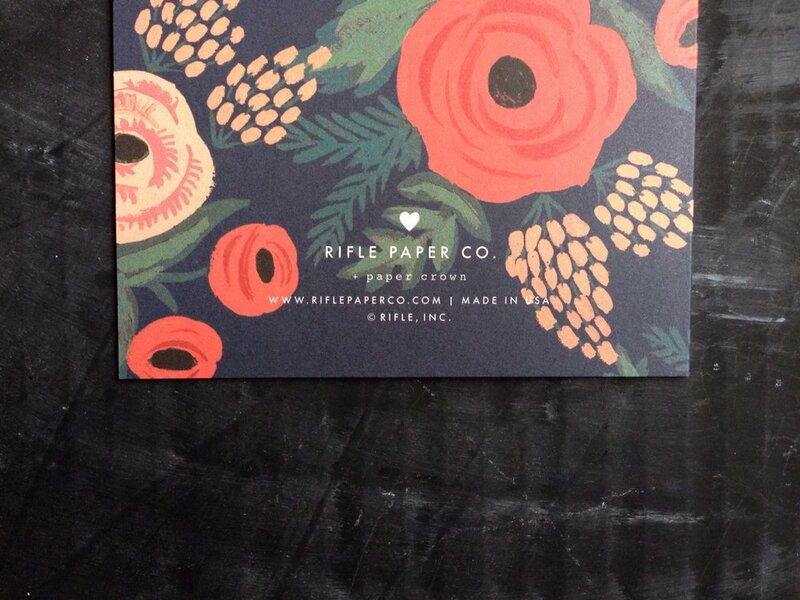 This card was part of a collaboration between Lauren Conrad's collection Paper Crown and Rifle Paper Co., and they also made a line of clothing with the same floral print seen here. While I didn't get my hands on the pretty dresses, I did snag this card, and for that I consider myself lucky. Thanks for reading, see you Monday!